I got asked to make a birthday cake for a lady who was celebrating being 80 years young. This cake is a vanilla Madeira cake. 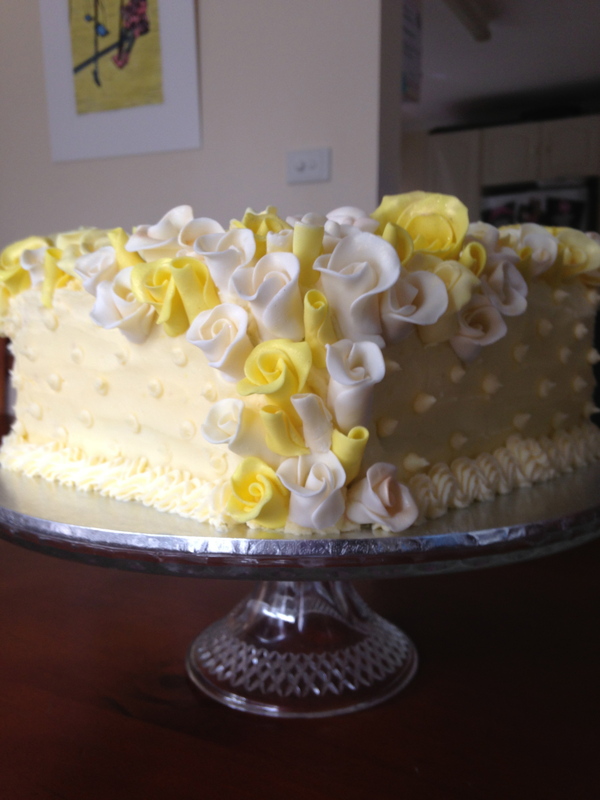 It had a lemon buttercream dam in the middle, which contained within a thick layer of lemon curd. The outside was then covered with the lemon buttercream. I piped a few very simplistic designs around the edge. This lady loves yellow roses, so I made sure that there were lots of roses, in different hues, and in the middle of all these flowers was her portrait. It’s the first cake that not only did they say wow, but actually got teary eyed. It was an honour to make this cake, and thrilled that it was loved by the entire family. This cake also got the biggest positive reaction from my own personal Facebook page. So I must being doing something right…. 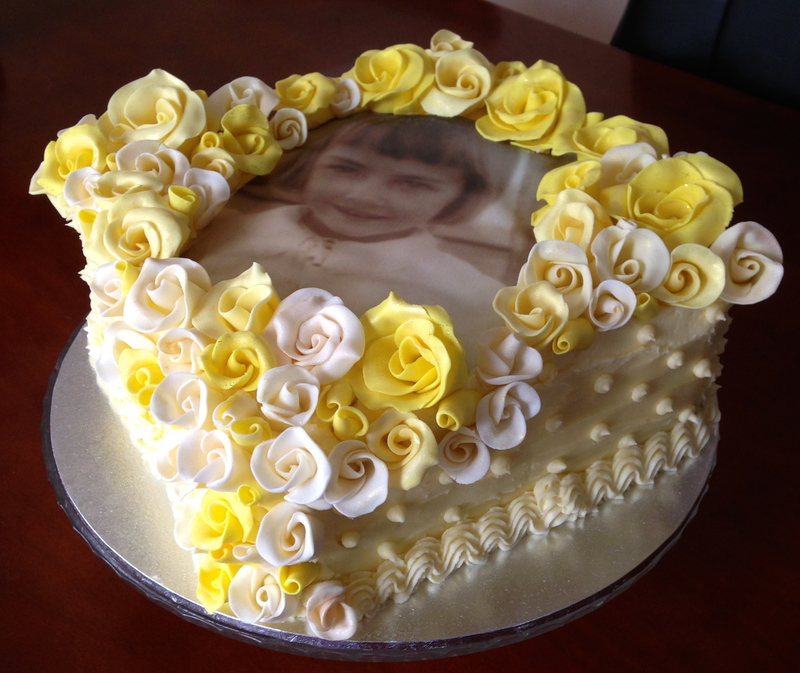 This entry was posted in Uncategorized and tagged 80th birthday cake, edible image cake, lemon curd cake, portrait cake, yellow fondant roses by Emma. Bookmark the permalink.